He also said banks should have a focus on making loans to UK businesses. "In order to get lending going, we must continue to develop agreements that remove the uncertainty arising from banks being unsure of their losses in return for improved lending conditions for families and businesses," he wrote. Critics have described the calls as "humbug", after Mr Brown's previous support of light-touch bank regulation. During his time as chancellor, the prime minister was openly critical of other European banking systems for their strict regulation and inflexibility. Britain, he said, was strong because of its light-touch regulatory environment, which encouraged investment and created jobs and wealth. 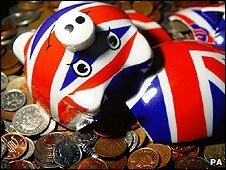 But BBC business correspondent Joe Lynam said the credit crunch and the ensuing financial crisis had changed Mr Brown's attitude to banking. Mr Brown said the Financial Services Authority would be considering controls on mortgages of more than 100% of a home's value, and so-called high multiple mortgages offering loans of up to six times an applicant's salary. More caution in the mortgage market, he said, would reduce chances of a future property crash. In the article he ruled out legislation to create a "rigid divide" between retail high street banks, which offer standard deposit accounts and loans, and investment banks trading globally in complex financial instruments. Treasury minister Stephen Timms told the BBC the government was not intending to "outlaw" 100% mortgages. Mr Brown believes pressure from consumers seeking somewhere safe to put their money will drive banks back to a model more common before the de-regulatory "big bang" in the City. 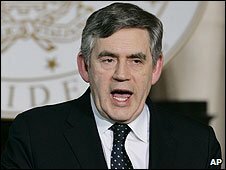 But Liberal Democrat treasury spokesman Vince Cable said: "Until very recently Gordon Brown was trying to justify 100% mortgages." He added: "Only last week the Liberal Democrats set out a proposal for Safestart mortgages as the new models for the industry, with 85% mortgages and protection against negative equity." "I'm glad to see Gordon Brown is catching up with us." Earlier Alex Brummer, City editor of the Daily Mail, told the BBC it was "humbug" for the prime minister to now ask people to forget those years of deregulation when bankers could "do what they wished". "He did nothing to put the brakes on - quite the opposite. He claimed we were being very prudent but, of course, we weren't being very prudent and we have now had the consequences of that," he said. Mr Brummer also argued it was "absolute madness" for Mr Brown to pretend Britain could "turn the clock back". "Banking has changed, the world has changed - finance moves much faster now and I think it is impossible now to go back to that era," he added. Mr Brown's comments came a day after the UK's new Banking Act, which gives greater powers of intervention to the Bank of England, was introduced. The act enables the Bank to intervene more quickly to help troubled banks and protect investors. It will be able to give hidden support to stricken banks, with the aim of maintaining financial stability. However, critics of the act say it throws a cloak of secrecy around the banking world, which could be detrimental for consumers.